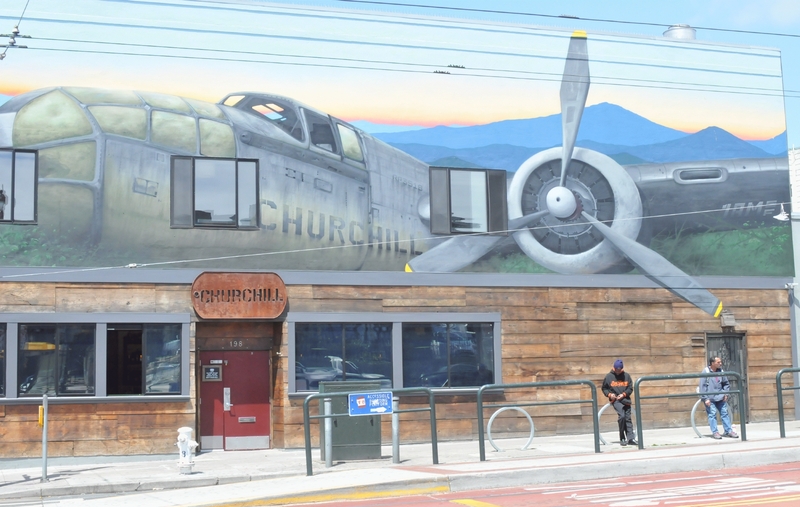 A mural of a WW2 bomber was painted on the outside wall above the Churchill Bar at the three way intersection of Church Street, 14th Street, and Market Street in San Francisco. 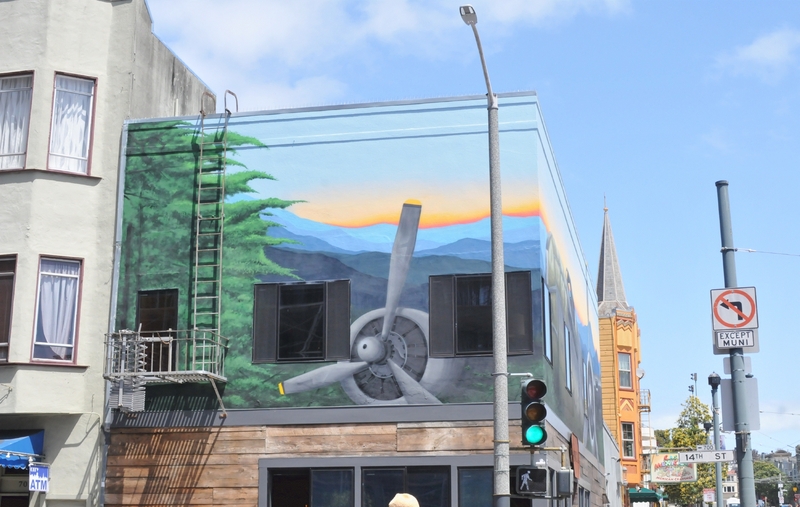 On of the bomber's engines and propellers faced 14th Street. 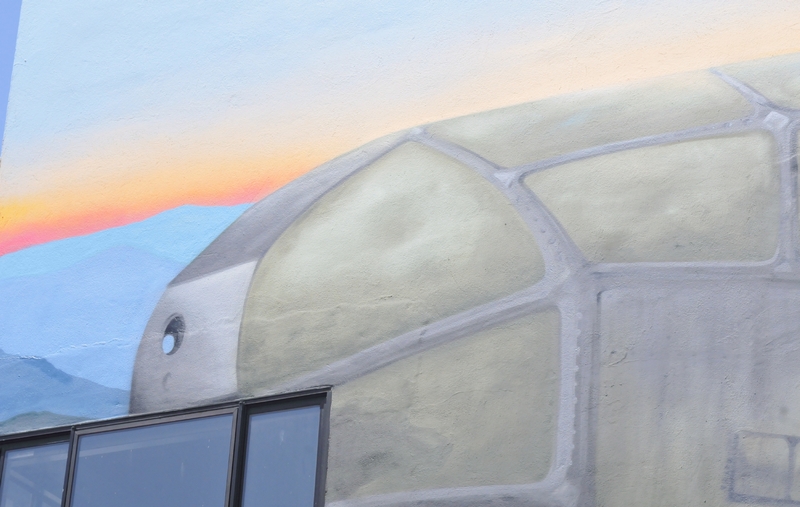 That side of the building covered part of the mural with a fire escape. 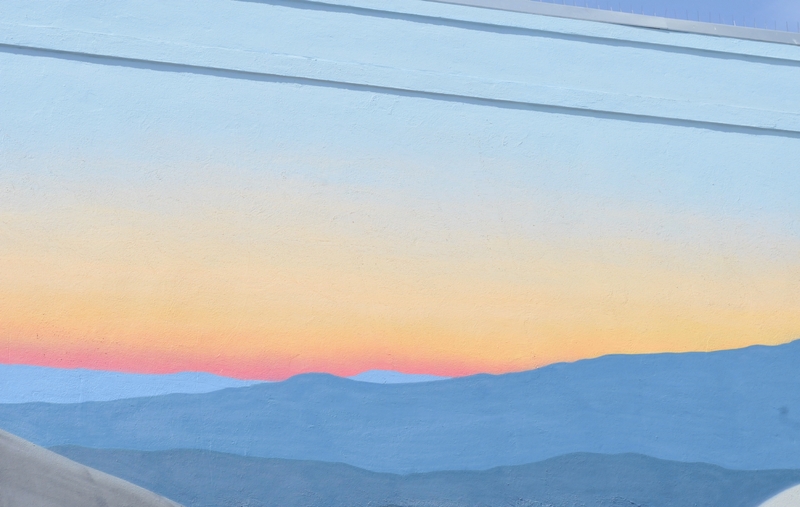 The mural looked huge when contrasted to those waiting at the SFMTA stop for either a J-Church trolley, or a 22 Fillmore bus. 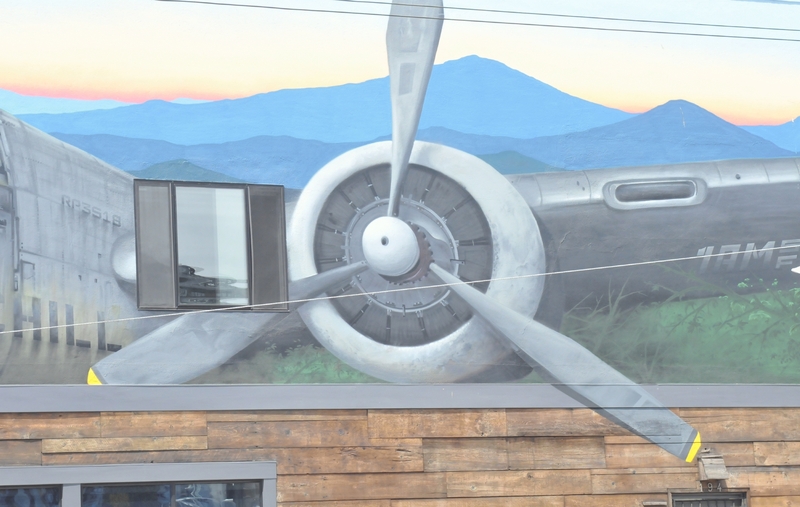 The mural revealed actual windows in the building and painted windows on the airplane. One of the engine's props rested behind the lip of the building, one of the others overlapped the outside of the building. 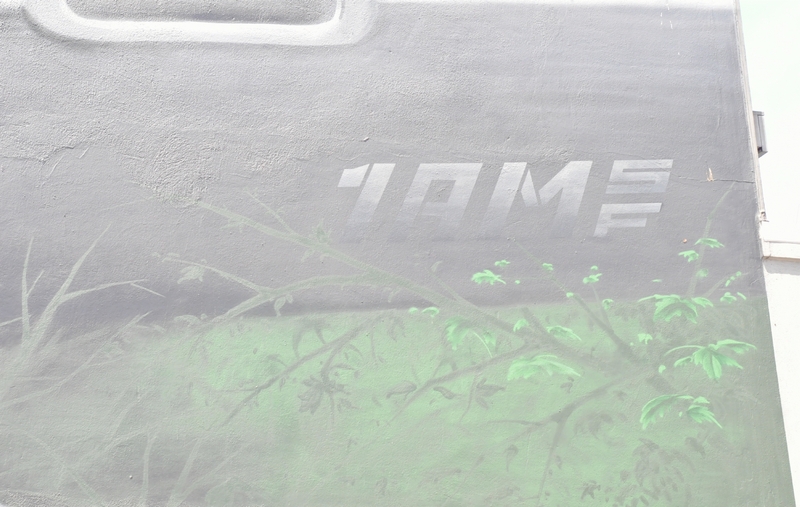 The mural was signed with the logo of the 1AM San Francisco studios. The cockpit of the plain was empty. Without pilots, the plane could not fly. 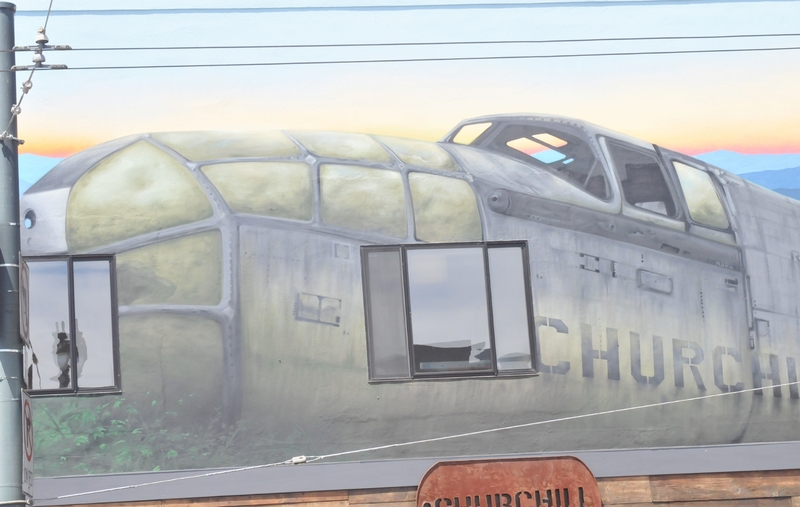 The nose of the airplane had a hole painted in it. 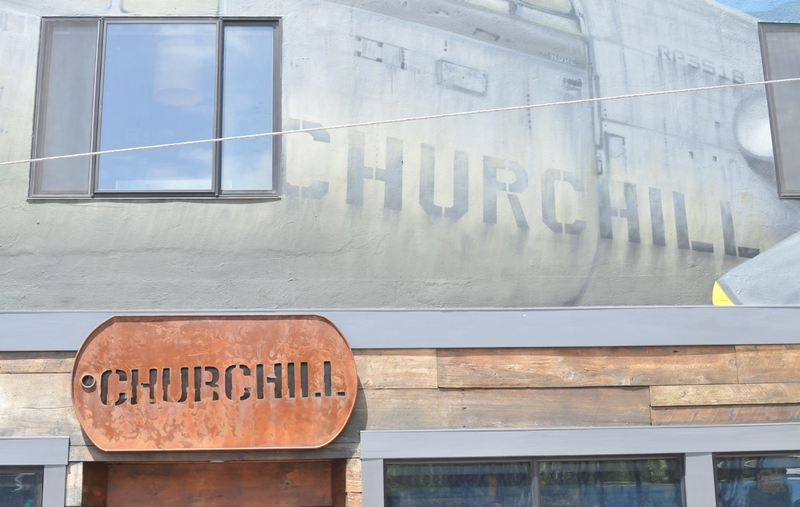 The name of the airplane was Churchill, and the Name of the bar was Churchill. 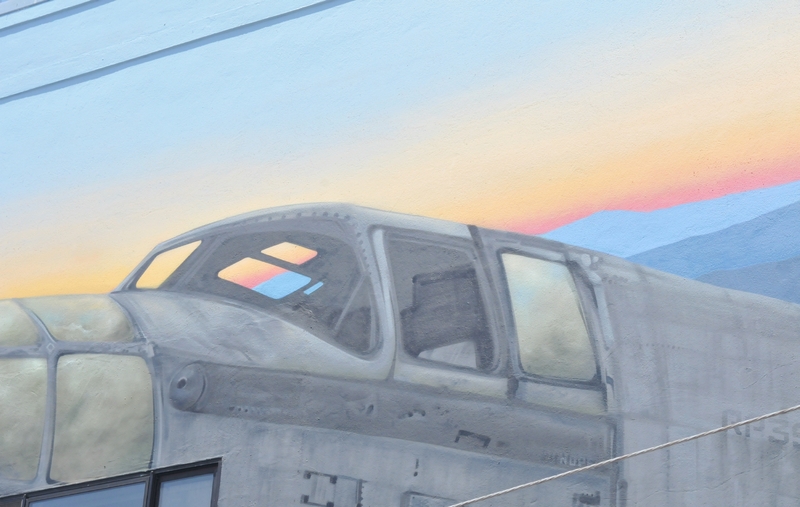 Beyond the airplane in the mural was a painted sunset. 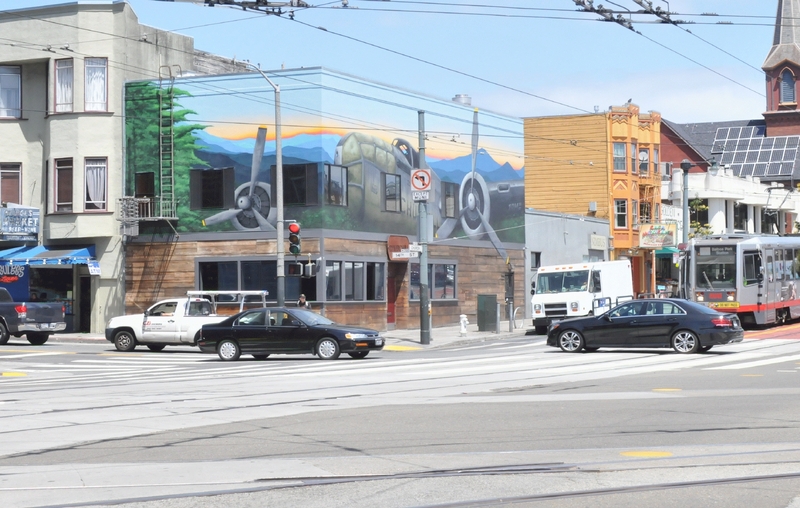 The perfect metaphor for a San Francisco tavern.